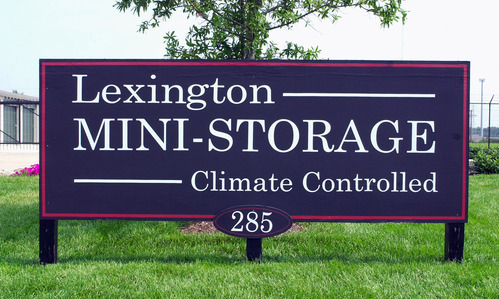 Lexington Mini-Storage has climate controlled storage available at our South Lexington Storage location, near Fayette Mall, conveniently located at 285 Ruccio Way. We have 1,300 total storage units available, both climate controlled as well as conventional storage space. We provide outstanding service with professional full-time resident management. Lexington Mini-Storage is also at Hamburg, conveniently located at the intersection of Bryant Road and Pleasant Ridge Drive, beside the Harley-Davidson store. Our East Lexington Storage location has 775 climate controlled storage units available. 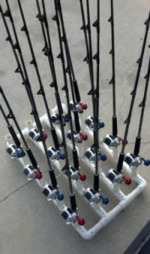 Our climate controlled units are very popular. They are monitored by security cameras and are temperature regulated, usually between 50°F and 80°F. This keeps your items at a standard room temperature, which prevents damage due to extreme temperature changes, dust and humidity. Climate controlled units keep items preserved in a well-balanced climate. This is also a great way to keep your things organized in a clean and orderly environment. Working in a climate controlled storage unit is a comfortable option for individuals who believe that they will be spending frequent time in their storage unit. Families, individuals, college students, businesses and remodeling companies use the climate-controlled storage facilities at Lexington Mini-Storage. If you have items that need a little additional protection, then climate-controlled storage is for you. Wood furniture, invoices, important documents, artwork, electronic and computer equipment, leather furniture, books, metal sculptures, collector's items and other valuables can benefit from a climate controlled storage facility. Lexington Mini Storage has a wide range of climate controlled unit sizes for those sensitive items, with units up to 400 square feet in size. We have a variety of moving and packing supplies available. Our moving van and platform carts are also accessible to assist our customers. Lexington Mini-Storage is open: Monday thru Friday from 9:00am – 6:00pm; Saturdays from 9:00am – 4:00pm; Sundays open by appointment. Our customers have access to their storage space 365 days a year between the hours of 6:00am – 10:00pm. When it comes to climate controlled storage … come to Lexington Mini-Storage.